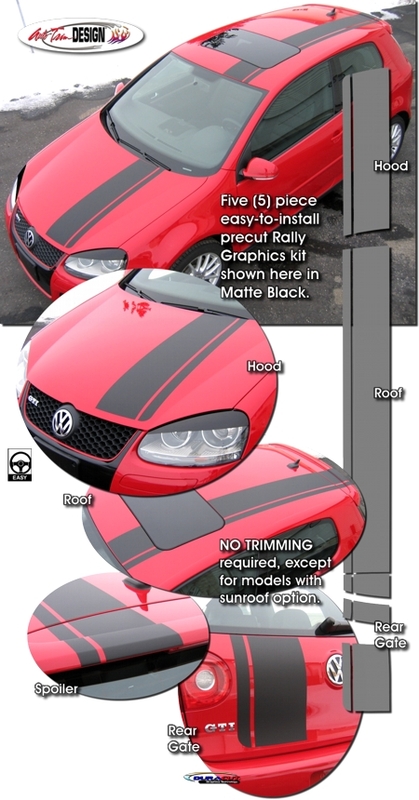 Make your ‘06-Current Volkswagen Golf, GTI or Rabbit "hot-looking" with this Euro Style Rally Stripe graphics kit. Stripe package is not just a set of 10" (25.40cm) strips in a box. Kit consists of prefitted, tapered and contoured pieces as shown. Rally stripes are set to install 5.5" (139.70mm) from center of vehicle at time of installation.